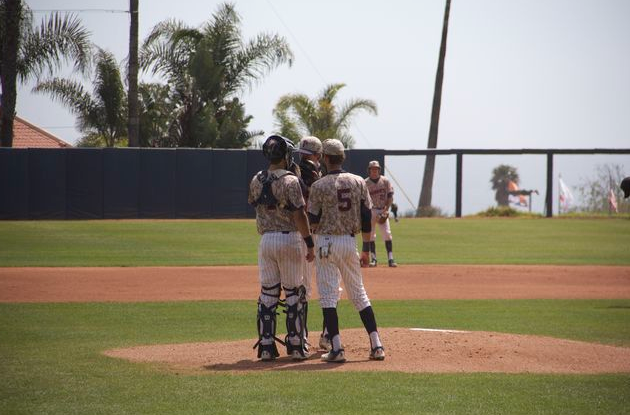 Pepperdine Baseball took the weekend series over Pacific with back-to-back 5-3 and 6-3 wins on Friday, April 6 and Saturday, April 7, respectively. 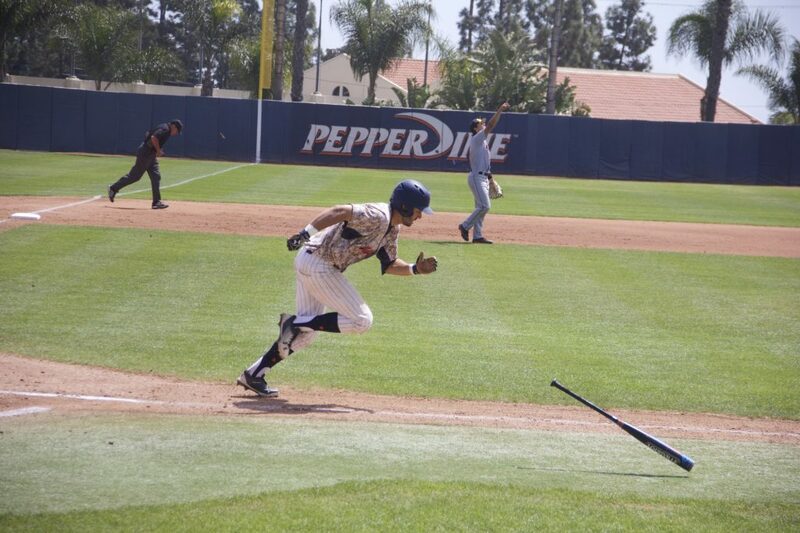 But the Waves couldn’t sweep the Tigers, and their bats fell flat in a 4-3 loss Sunday, April 8. With the 2-1 series win, the Waves are 14-16 overall — including 9-8 at home — and 6-6 in West Coast Conference play. Freshman pitcher Cooper Chandler kicked off the series on the mound on Friday. Although Pacific got an early jump on the Waves with two unearned runs in the top of the first, Chandler held them down after that for five scoreless innings. “I just went out there, threw strikes and let my defense work behind me and it turned out to be a good win,” Chandler said. 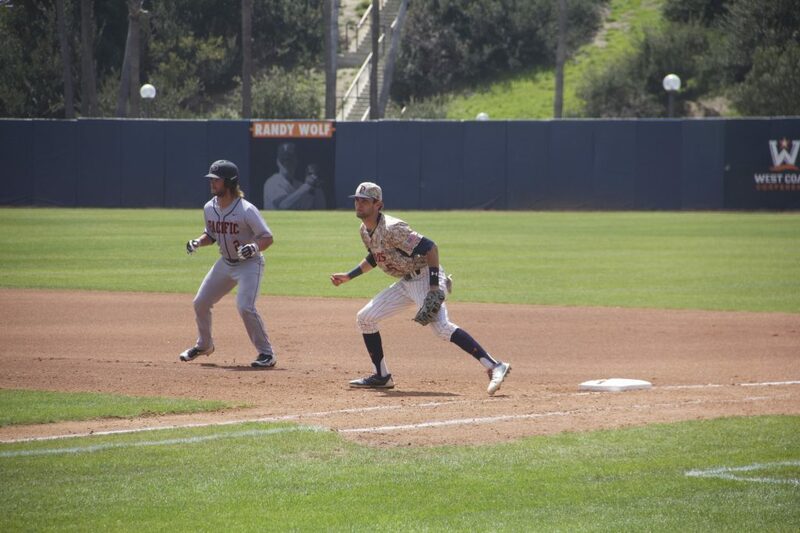 The Waves started their comeback against the Tigers in the bottom of the third, when junior outfielder Cory Wills hit a lead-off double down the right field line. Freshman infielder Billy Cook followed behind him with a single up the middle to advance Wills to third. While Wills got thrown out at home on a fielder’s choice, Cook made it to third on a wild pitch, then scored on a sacrifice fly by redshirt junior infielder Chase Lambert to cut into the 2-1 deficit. The Waves scored one run in both the fourth and fifth innings to take a 3-2 lead — one they wouldn’t relinquish. 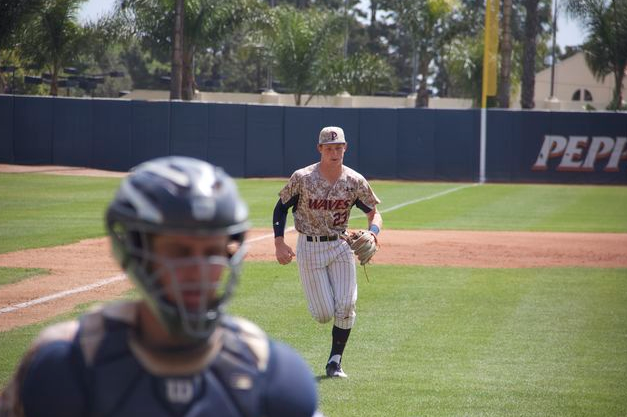 As Chandler held down the defense, the Waves continued their attack into the sixth, with sophomore infielder Quincy McAfee stealing second after reaching on a walk. Wills flied out, but allowed McAfee to tag and advance to third. Cook drove McAfee in with an RBI single to left before reaching home on another sacrifice fly by Lambert. The Tigers took one back with a home run in the eighth off of senior pitcher Kiko Garcia, but was shut down with a save by redshirt junior pitcher Jordan Qsar for a final score of 5-3. The Waves won 6-3 over the Tigers in the second game on Saturday to secure the series win — thanks to another strong pitching performance by junior Jonathan Pendergast. He gave up three runs, one unearned, in eight innings. The Waves scored two runs to take an early lead in the first. Lead-off hitter Lambert started the Waves off with a single up the middle and advanced to second when redshirt freshman infielder Brandt Belk was hit by a pitch. Lambert scored on a sacrifice fly by Qsar that followed junior outfielder Matthew Kanfer’s sacrifice bunt, which put both Lambert and Belk in scoring position. McAfee’s single to center brought in Belk for a 2-0 lead. 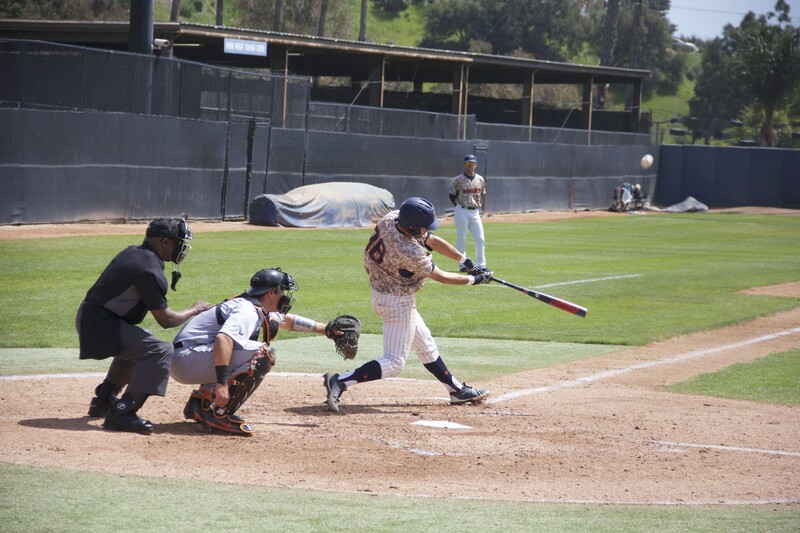 McAfee displayed strong offensive skill during the second game against Pacific going 3-for-3 at the plate. Although the Tigers cut the lead in half with a home run in the second, the Waves quickly answered back with a pair of runs both in the second and third to go up 6-1. Pendergast continued to support the Waves from the mound, only giving up two more unearned runs in the sixth and eighth for a final score of 6-3. In the final game of the series, the Tigers got ahead first with two runs in the third for a 2-0 lead. 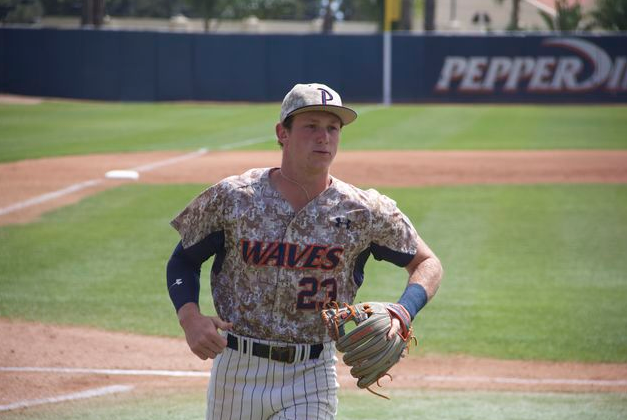 The Waves struggled against Pacific’s senior starter Cooper Casad. While Casad continued to shut out the Waves, the Tigers were able to string together a hit in both the fifth and sixth innings for a 4-0 lead. But with two outs in the bottom of the ninth, the Waves refused to go quietly. Lambert started the Waves off with a walk, then advanced to second on a ground ball by Belk. Qsar came up next and ended the shut out with an RBI single up the middle to bring in Lambert for a score of 4-1. “I was in a situation where I was just doing whatever I could to not make that last out and luckily it snuck through the infield,” Qsar said. McAfee followed Qsar with a single to second which put runners on first and third. Freshman outfielder Mike Malinchak, then came in to pinch hit for redshirt sophomore infielder Duncan McKinnon. Malinchak delivered with a two RBI single to left center. McAfee and Qsar both scored off of Malinchak’s hit closing Tigers’ lead to 4-3. Despite the late rally by the Waves, the Tigers took the game with a diving catch by their right fielder. 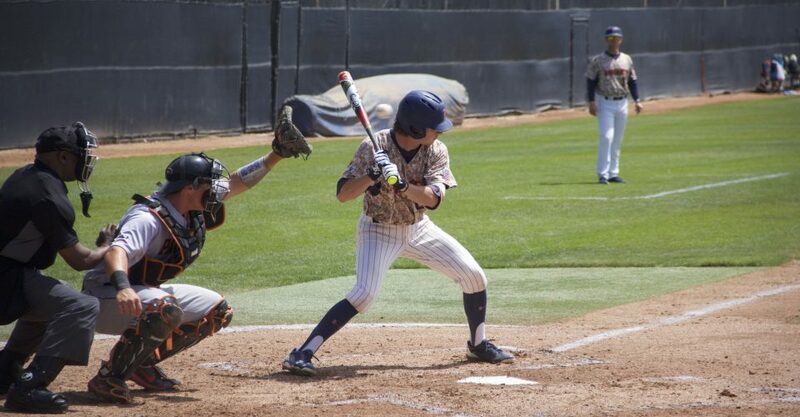 The Waves travel to Santa Clara, California for a weekend series against Santa Clara starting Friday, April 13.